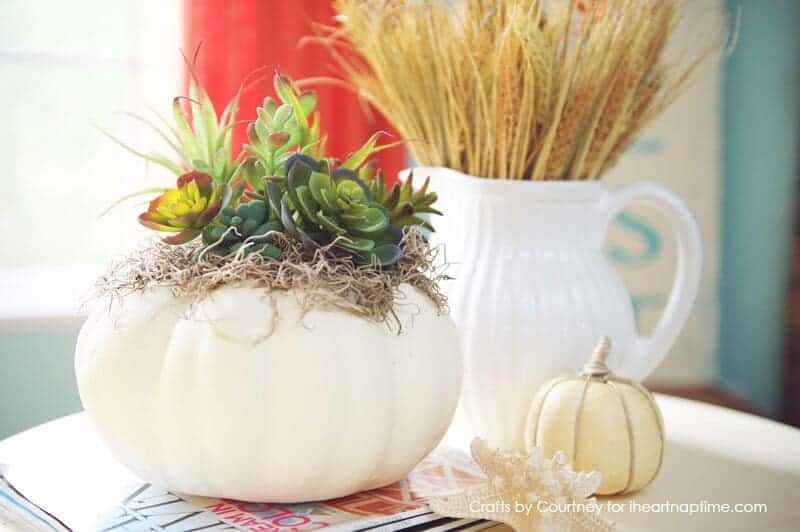 DIY Faux Fall Succulent Pumpkin by Courtney of Crafts by Courtney for I Heart Naptime. Happy Fall everyone! 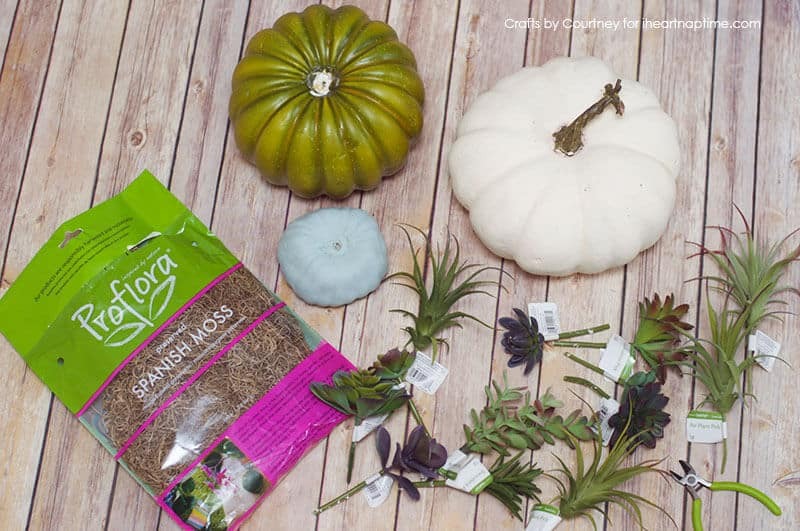 It’s Courtney with Crafts by Courtney and I wanted to share with you probably one of the easiest Fall crafts I’ve ever done. This is a project anyone can do! I’ve done several pumpkins crafts over the years, but this is probably the quickest. 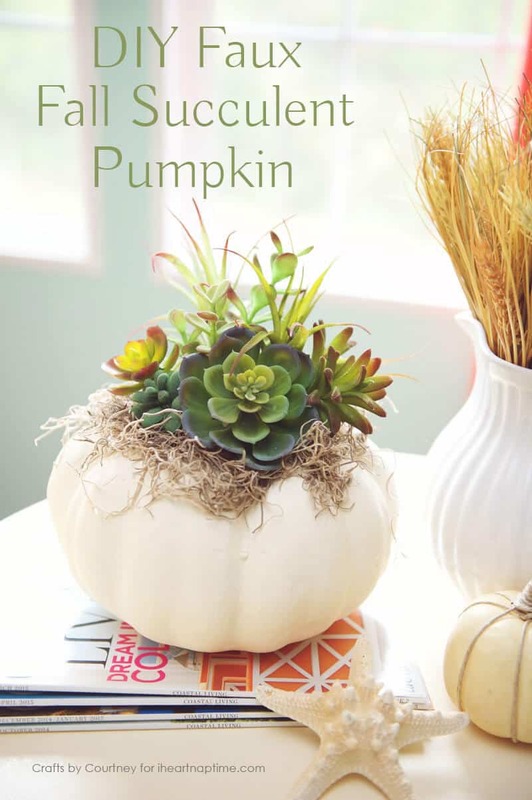 While browsing Pinterest I found my inspiration for this craft, BUT they used a real pumpkin and succulents. 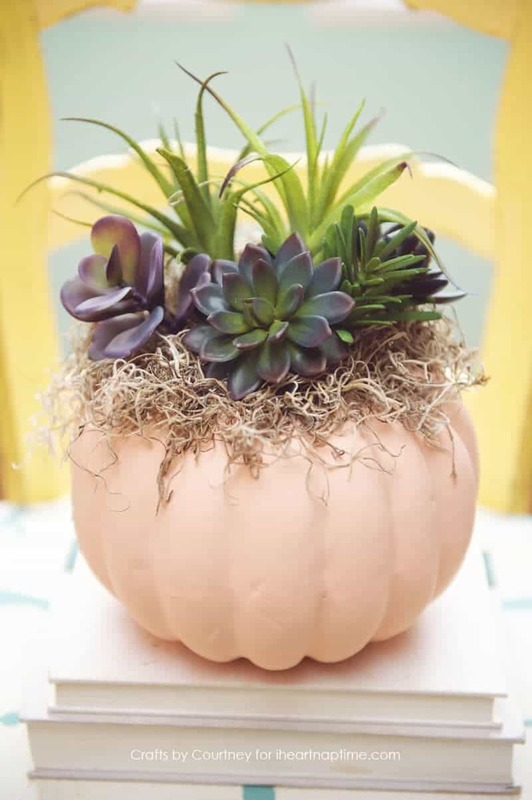 I wanted to use a fake pumpkin and succulents so it would be a craft I could pull out for years. I had some pumpkins that really needed a makeover. They’ve gotten messed up over the years, so I thought a quick makeover would be a great idea. 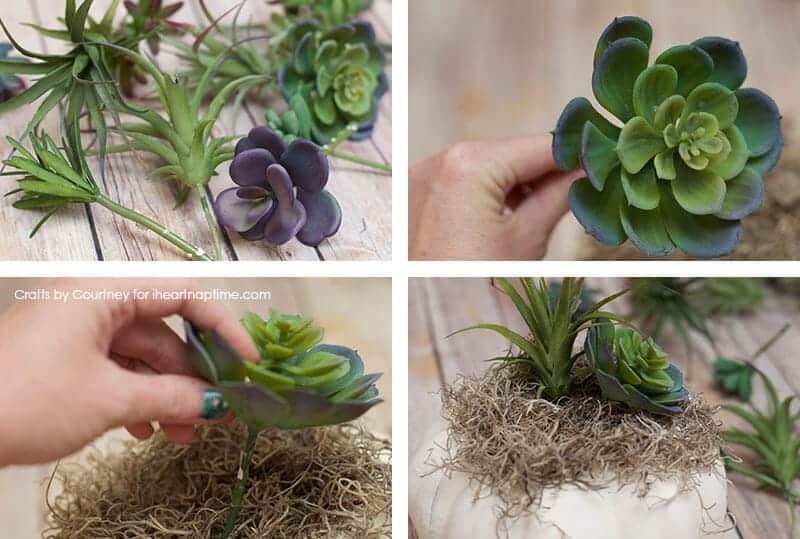 Plus I just got a TON of faux succulents in the mail from FloraCraft and I really wanted to use them. I used some chalk paint and painted on two coats. Letting each coat dry 20 minutes. Make sure to remove those stems!! Now let’s add our moss!! 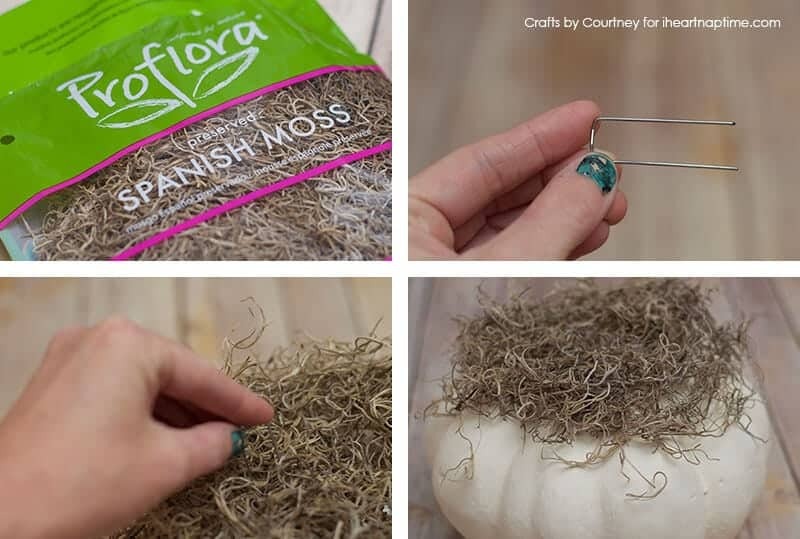 I used some “handy dandy” floral pins to keep my moss in place. I was debating on using hot glue to keep my moss in place, BUT I found these floral pins in the box of succulents as well. They worked perfect, the moss stays in place. Since I took the stem out of the pumpkin I was able to add the succulents in that spot. So no cutting of the succulents either! See how easy this is?! I just placed them around the pumpkin until I felt it looked full. Voila, all done! I had both pumpkins done in about 10 minutes. I really wanted to do the small one as well, but I ran out of succulents. Maybe I’ll make a run to the store and get some more! This was my first succulent craft and I’m so happy with how it turned out! These pumpkins fit in perfect with my Fall decor. I can’t wait to get started on more projects for the house this fall. Thanks for stopping by, and I’ll see ya next month with a new craft! 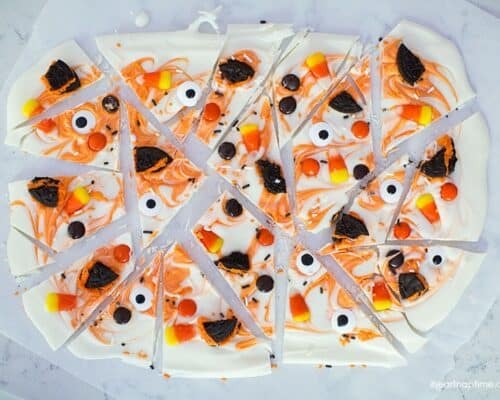 Isn’t this autumn craft adorable?! 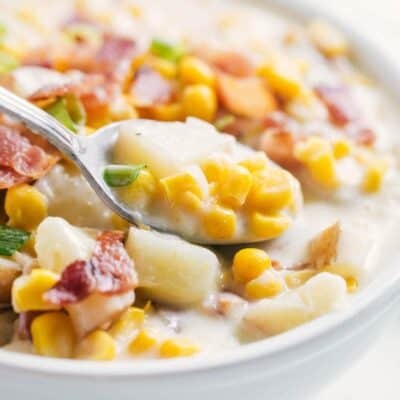 If you like this, check out these amazing projects too! Love these pumpkins, will need to wait for october before giving them a go! These are so pretty! 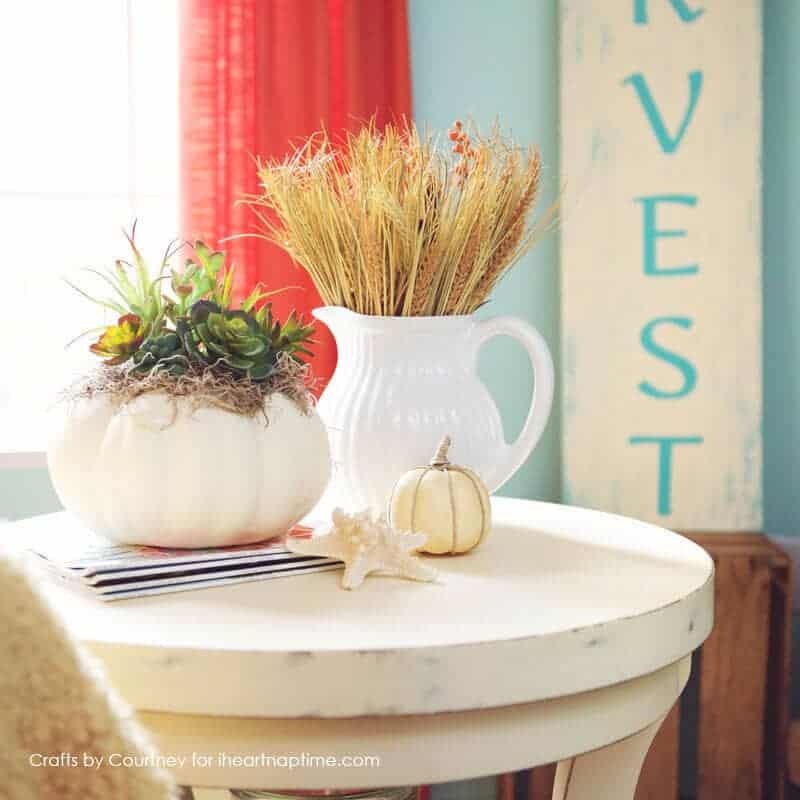 I love that you can use them for decorating year after year! Gorgeous! 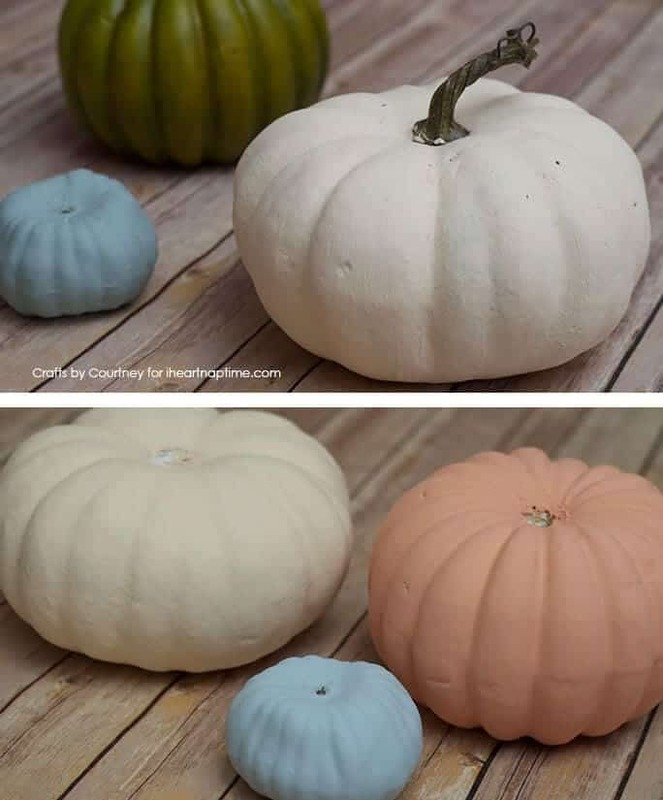 And I can’t believe how easy it is to make these pretty pumpkins. Thanks! 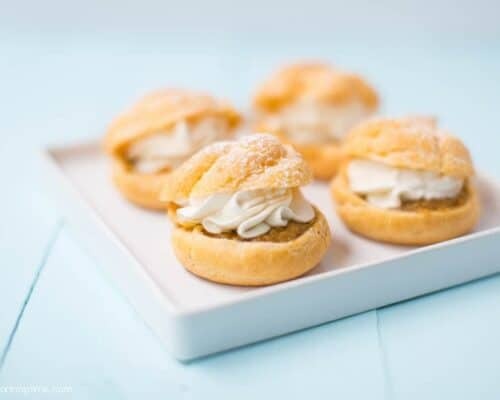 These pumpkins are adorable! 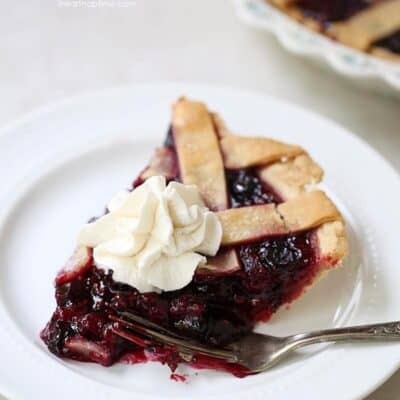 I totally want to make some!